Self-care, aka taking a little “me” time, is one of those things you know you’re supposed to do. But when it comes to actually getting around to it, some people are more successful than others. If you remember my post from last week about guilt being the biggest reason why women don’t practice self-care, today, I’ll be talking about finding the time to do it – which is, let’s face it – the biggest ‘excuse’ us women make. Busy-ness is a modern day epidemic, so many of us place our worth in how busy we are which often leads us to burnout. Now, you might be thinking you’ve never experienced burnout, but burnout can look different on each of us. For you it might have been that virus that just wouldn’t shift for weeks, not being able to concentrate, headaches, finding it harder to get out of bed in the morning, increased anxiety or depression. For me, burnout shows up as fatigue that doesn’t improve with extra sleep, moodiness and a low level of constant stress. Whenever I notice even a slight increase in these things I check in with my self-care practice and double it up! 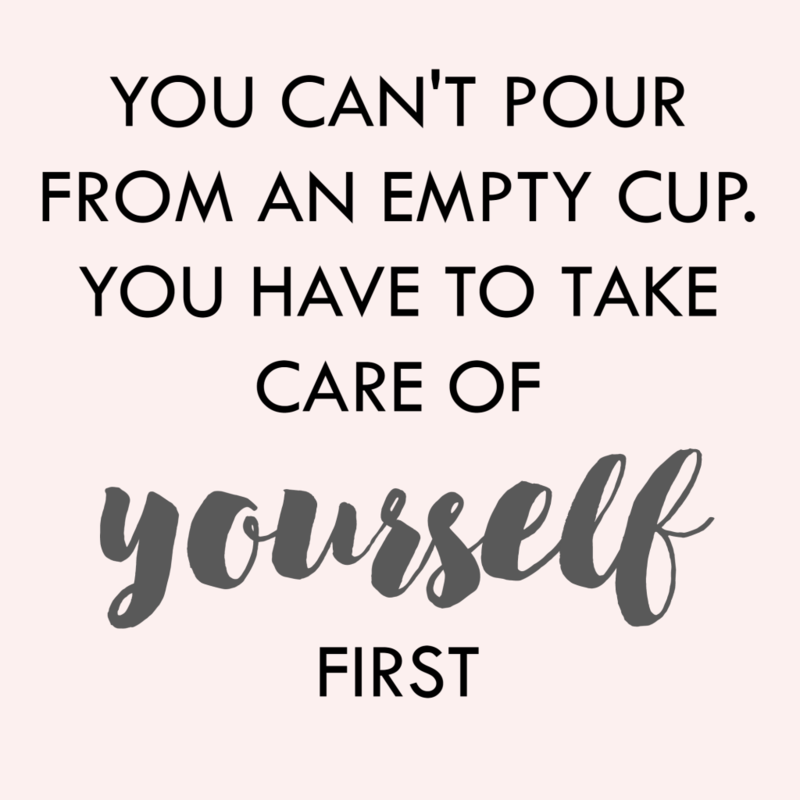 It is essential to find time for self-care daily, but if you have a job, business, kids, chronic illness or all of that, then it can be easier said than done. This being said, I think you actually already have all the time you need for self-care, you either don’t know it yet or practising self-care is not a priority. How can something so simple be so hard? Saying no to things that aren’t going to serve us is a simple way to free up more time. How often are you agreeing to do things that don’t make you happy? Make a commitment to say no to things you don’t enjoy and then use that time to do things you do enjoy instead and see the difference! This might be the latest time you’ll stay at work, the most time you’ll spend working at home, turning your phone off at dinner, letting your boss know you won’t be answering emails at the weekend etc. Think about what areas in your life would benefit from having some loving boundaries in place in order to protect your time. How many hours do you spend scrolling through Instagram and Facebook each evening? If this is you then adopt some boundaries and reclaim that time for something that fills you up. I personally work on this every evening; replacing my PS with doing things I would actually want to do; catch up on my reading, meditate, listen to an audiobook, cook, de-clutter etc. Since starting doing this, I’ve noticed that I feel happier and content, I sleep better now and don’t seem to have as much negativity in my life and to top it up; I go to bed on time and wake up before my alarm goes off.